This article first appeared in The Edge Malaysia Weekly, on September 8, 2014 - September 14, 2014. Aerospace is one of the most strategic and high technology industries being promoted by the government, but has been difficult for small and medium-sized enterprises (SMEs) to penetrate. Perhaps it is because they have been going about it the wrong way. Peter Lim, Singapore Aerospace Manufacturing Pte Ltd (SAM) vice-president of marketing and business development, says that although there doesn’t appear to be a minimum requirement to get into the industry, the reality is very different. Any SME hoping to make inroads into the industry must be prepared to pay its dues. Lim is speaking from the perspective of an aerospace equipment manufacturer. SAM owns Aviatron (M) Sdn Bhd, which produces nacelle beams for the Boeing 787 Dreamliner, Airbus 350, Bombardier C-Series and Mitsubishi Regional Jet. Nacelle beams are one of the components used to protect the engine of the aircraft. The difficulty for SMEs lie in the extremely high standards and expensive certifications required, even before the get-go. “The logical approach is to support a local aerospace company, get the appropriate quality certification and demonstrate the ability to produce the parts. Its customers will normally visit the site and the SME would have to impress them accordingly,” he tells The Edge in an interview. The SME would need to have, among others, the relevant certifications, an ERP (enterprise resource planning) system to manage production, and software to view a 3D model of what it produces. None of this comes cheap. What type of certifications are we looking at? “For an SME to deal directly with aerospace original equipment manufacturers (OEMs), it has to be AS9100 certified. This is the minimum quality certification to supply aerospace products,” Lim says. The AS9100 is a widely adopted quality management system in the industry. If the SME aims to provide special process services, it has to obtain NADCAP (National Aerospace and Defense Contractors Accreditation Program) approval. “This is a third-party approval and the OEM will accept this certification,” Lim says. The question, of course, is how much all this would cost. “The cost of obtaining the quality system is not much, probably US$10,000 a year for recertification. It may take a year for the system to be qualified, though. Another hurdle is the production of the first article that meets drawing specifications. This will take a year or more, depending on the product complexity,” he says. And it’s not only the certification, equipment and manpower needs that need to be factored into the cost — all aerospace-related companies are also required to be heavily insured. “We are liable for our products. If there is a catastrophic event, the suit can run into the millions. To mitigate risks, we buy product liability insurance. Nobody knows how much is enough, but a rule of thumb is US$500 million to US$1 billion in coverage,” Lim explains. For US$500 million in coverage, the annual premium could be as high as US$500,000. “This will vary, depending on the company’s track record. There is also insurance coverage for things such as hangar liability and workmen safety,” he adds. Getting into the industry is not just a matter of money. The SME must also be prepared to put in the time, during which it will not make any money at all. Is it possible for a company involved in, say, electronics to cross over into aerospace? Lim doesn’t think so. “A company with the appropriate equipment will have an advantage. But in the aerospace industry, it is the mindset of the people that can make or break the company. It will take much effort for a non-aerospace company to get into the industry because the safety and quality standards are hard to get a handle on. With such barriers to entry, it is understandable why an SME would need the help of a big brother to give it the required push. “It is very unlikely that an OEM will outsource to a company with no prior aerospace experience. A big brother would have gone through that learning experience and it can take over the role of the OEM in subcontracting out some of the operations to the SME,” he says. Singapore’s Economic Development Board (EDB) used to have a programme known as the Local Industry Upgrading Programme (LIUP), where it would pay a big brother company the salary of a project manager to look after a handful of SMEs. “These SMEs will provide services to the big brother and the project manager will help them get up to speed,” Lim explains. A check with the relevant Singapore government websites reveals that the LIUP has been subsumed into what is known as the Partnerships for Capability Transformation, which operates somewhere along the same principle. SPRING Singapore, an agency under the Ministry of Trade and Industry responsible for helping Singapore enterprises to grow, works with large organisations to identify and implement collaborative projects with local SMEs. This includes knowledge transfer, capability upgrading and the development of innovative solutions. Lim says Singapore’s latest approach is to attract large OEMs, such as Rolls-Royce. These OEMs can become big brothers as they would be located near the SMEs. In the past, they were thousands of miles away, making it a risk to work with these SMEs. “Essentially, the EDB tried these two approaches — the local big brother and the OEM big brother. 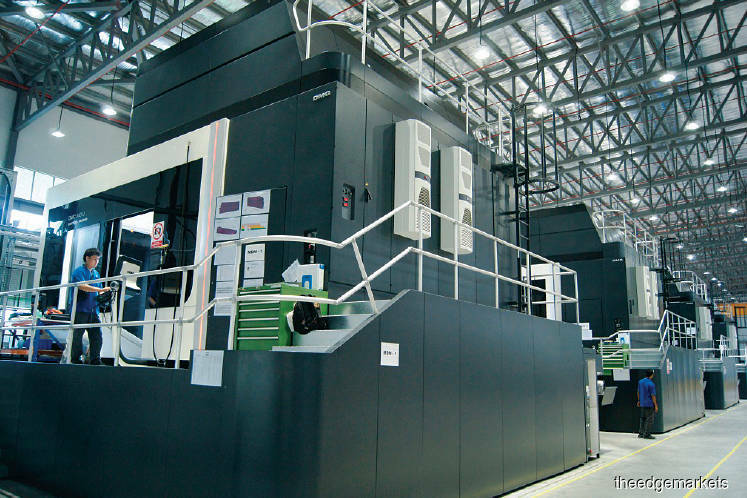 In Malaysia, the local big brother can be companies such as Composites Technology Research Malaysia Sdn Bhd (CTRM), ACP Aerospace, Upeca Technologies Sdn Bhd and SME Aerospace Sdn Bhd,” he adds. These companies have direct contracts with overseas OEMs and require local manufacturing support. “I guess the government can take a structured approach like the EDB to groom SMEs. Leaving the job to a local big brother may not be a long-term solution,” he says. But what it all boils down to is track record. Aerospace is perhaps one of the most conservative industries in the world, an old boys club of sorts. It takes a while to build one’s reputation and to get out there. Government support, Lim says, is essential, and an SME must have deep pockets to sustain a few years of losses. The government needs to encourage OEMs to set up shop in Malaysia to provide opportunities, he adds. “The major shortcoming here is still the skill set. Not many people in Malaysia want to assume the huge responsibility for a piece of equipment worth tens of thousands of dollars that may be scrapped if it is not up to spec. For every part that is scrapped, there will be a post-mortem to find out why it was rejected. The matter is so serious that, in the course of investigations, if a worker is found to be negligent, he could be warned or sacked (for repeat offences). “The mindset of the people has to change if they are to work in the aerospace environment. It is rigid and stringent,” Lim says. Aviatron is one of the more successful local aerospace companies. SAM has invested RM400 million in Malaysia since 2008 for the building alone. It has secured long-term contracts (of more than 20 years) to provide nacelle beams for its clients. It plans to invest another RM80 million on the contracts it has already won. And if it secures contracts for new aircraft launches, such as the Airbus 320neo, Boeing 737Max and Boeing 777X, it is looking at an additional investment of RM300 million. “New contracts will require us to build a new factory and acquire new equipment as our capacity is already full,” Lim says.